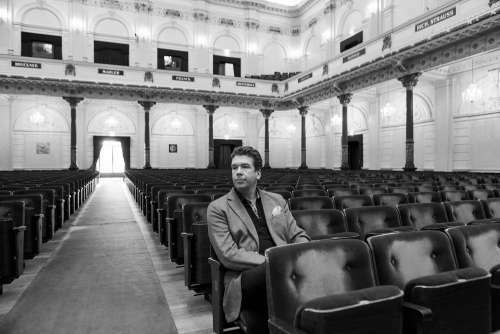 The Royal Concertgebouw in Amsterdam appointed Sebastian Fagerlund their composer-in-residence, resulting in a string of exciting works, new departures and enriching encounters. At his temporary home on Kloveniersburgwal, he shows us where he works. At the centre of it all is a desk, covered in the manuscript paper that he is using to pencil his Second String Quartet. An eraser is within easy reach, next to the computer. The keyboard is only used for listening back to the final version. The real composing has actually been done much earlier - entirely in Fagerlund’s head. He is now in the final stage of the quartet, a composition scheduled to premiere at the Royal Concertgebouw in October, where it will be performed by the Kamus Quartetfrom Finland. He has almost finished entering everything into the Finale software programme he works with. What strikes you when you compare the rough drafts to the final version, is the confident precision with which he composes. The themes that appear as gestures in the rough drafts perfectly match the detailed notes in the final version. Together with the Royal Conservatory of The Hague, the Conservatorium van Amsterdam is a breeding ground for composers, not only from the Netherlands but also from many other countries. Ever since the 1970s, it has been considered good practice to introduce composition students to big names from their field, a practice which has brought fame to the Netherlands’ music world. In The Hague, students have had the opportunity to work with Dallapiccola, Stockhausen, Messiaen, Cage, Kagel, Reich, Ligeti, Kurtág, and Goebbels. The Hague School, known for its clarity of structure and made famous by the iconic Louis Andriessen, is still a household name today. The Conservatorium van Amsterdam has a different approach, focusing on individual student development rather than adhering to any specific school or movement. The new millennium saw a cultural sea change in the Netherlands, with the rise of governments that regarded art as merely a hobby for the wealthy. The steady stream of government funding, which up to that time had flowed generously, was cut back to barely a trickle. The result was that orchestras were forced to merge or dissolve and musical education practically disappeared from schools. Nor were the composers spared, as the security provided by a well-established system of multi-year grants was whisked away in one fell swoop. Nonetheless, a slight change for the better seems to be happening. Orchestra members that had lost their jobs formed their own orchestra, named Ludwig – a flexible ensemble, entirely consisting of freelance musicians. The Royal Conservatory of The Hague is working on a project for the 2019 Holland Festival. Students are preparing for Karlheinz Stockhausen’s magnum opus Licht, a large selection of which will be presented in Amsterdam as part of a new production entitled Aus Licht. With Sebastian Fagerlund I see calmness, attention to detail, cohesion, clarity. In Amsterdam, the Royal Concertgebouw, the new music ensemble Asko|Schönberg and the NTR ZaterdagMatinee, the much lauded concert series on Radio 4 which is recorded at the Concertgebouw, have joined forces. 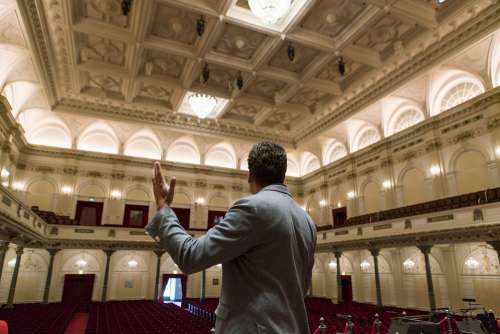 With the support of an anonymous sponsor, they have worked out a plan in which a foreign composer is not only invited to become composer in residence at the Concertgebouw, but is also immersed in Dutch culture beforehand. The Chinese composer Huang Ruo explored the country with a landscape architect and also met famed architect Rem Koolhaas. The impact that these experiences had on the composer can be heard in the compositions he wrote while in the Netherlands in 2015-16. After Huang Ruo, Sebastian Fagerlund is only the second composer to have been invited. He visited practically all the museums in Amsterdam and was introduced to the phenomenon of ‘schuilkerken’, secret churches that were hidden in private houses during the seventeenth century. He learned all about the Dutch concept of tolerance, which for him raised the question: Why was it necessary to hide the churches if there was such tolerance here? As a natural phenomenon he is also fascinated by the sea and its changing tides. Kees Vlaardingerbroek, artistic director of the ZaterdagMatinee series, is a member of the committee that selects the composers. Last year, on the advice of conductor Osmo Vänskä, he programmed Fagerlund’s orchestral work Ignite, which was an immediate success with the audience. The press also had high praise for Fagerlund and for the performance by Vänskä and the Netherlands Radio Philharmonic Orchestra. Sebastian Fagerlund has a long and special connection with the Dutch bassoon phenomenon Bram van Sambeek. Fagerlund wrote Woodlands for him, a solo composition that pushes the player to his physical limits and gave Van Sambeek a bleeding nose. “A number of passages looked unplayable to me,” he says, “but I didn’t tell that to Fagerlund, because there is also a chance that I can expand my technique in that way. That’s why I want to push myself. In Woodlands I had to play high and sing low at the same time. That’s possible with a lot of study, but the way he wrote that particular fragment was quite extreme. A sort of atmospheric pressure built up. And considering that you’ve been standing there for eight minutes, sweating and struggling to play the regular notes, that pressure gets so strong that you can apparently get a bleeding nose from it. It didn’t lead to a new technique, but rather to the realisation of how unhealthy it can be to play the bassoon, ha ha. Fagerlund was very taken aback by this. He removed that part, but it did lead to me playing with two bits of wadding in my nose during the 2011 premiere in Delft. “Fagerlund senses what is potentially possible. For example, he heard a blues number I once recorded, with lots of glissandi. It was a way for me to show that a lot more is possible than what most people expect from a bassoon in terms of glissandi. 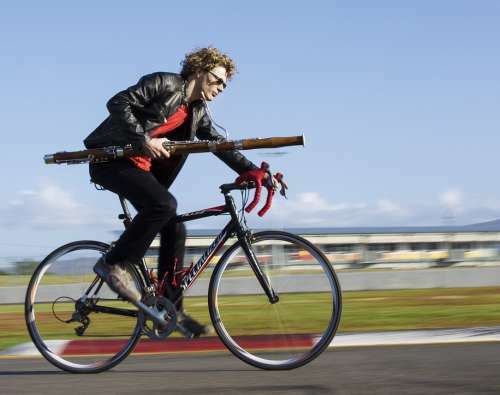 In his bassoon concerto Mana, he takes this to another level. As a result, after much study I am now able to play glissandi anywhere, which adds a whole new dimension to bassoon playing. “He often writes an orchestral piece along with a chamber music counterpart. That is how Woodlands came to be, as the counterpart to Mana. You can hear how the virtuosity of Woodlands is given incredible depth in Mana. You recognise the Woodlands material, but Fagerlund takes it much deeper. It made me think of Bach’s Cello Suites. They are wonderful in themselves, but in Mana it is as if the Cello Suites were given the same dimension as the St Matthew Passion. I don’t know anything that resembles it, though I do recognise the pastoral quality and the sense of space in his works that I associate with Finnish music. This is expressed in multiple forms, also in the composition process. Fagerlund believes you need time to develop something special, both as a musician and as a composer. If you look at how he composes, you can see how high the demands are that he places on himself and that he takes plenty of time to achieve them. I think that’s wonderful, and admirable. Sometimes you see a tendency in people to insist that everything must have a function and immediately yield results. With him I see calmness, attention to detail, cohesion, clarity. There is a sort of space there, which you don’t often see in Dutch music, if you can generalise in that way. 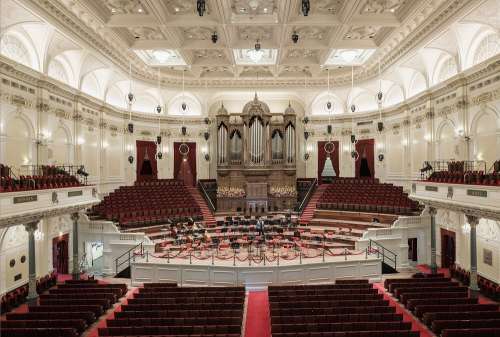 Concertgebouw - A legendary concert hall with a wonderfully varied programme in both the chamber music hall and the main hall. Audio Obscura/Experimental EDM Event Platform - A group that organises concerts in a variety of interesting and exciting venues. Muziekgebouw aan ’t IJ - A great concert centre at the harbour, on the IJ river. A very varied and interesting programme extending from early to contemporary music and including interdisciplinary productions combining various branches of the arts. Bimhuis - A classic jazz venue! 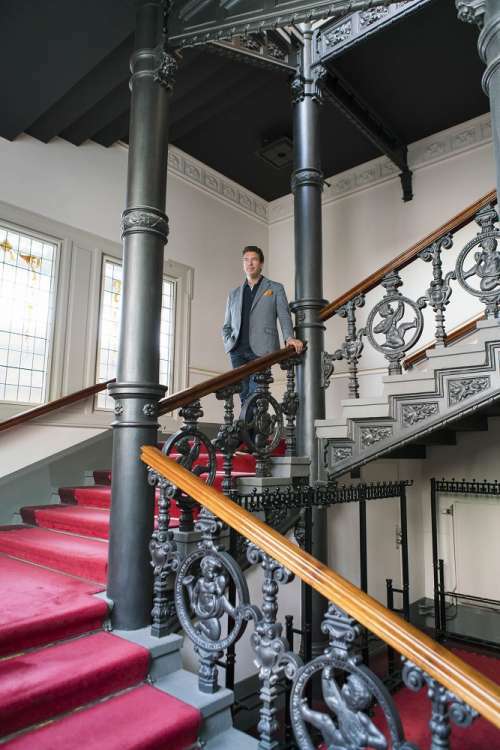 Paradiso - A celebrated pop venue, club and cultural centre all in one, established in 1968.